TORONTO, ON - Lake Ontario Waterkeeper’s 2nd Annual Toronto Harbour Report launched on Wednesday to a crowd of volunteers, donors and community stakeholders. The report summarized Waterkeeper’s findings and offers recommendations that will help to protect Toronto Harbour and water users. It highlighted the continued problem with raw sewage pollution from Toronto’s combined sewage outflows within the inner harbour. 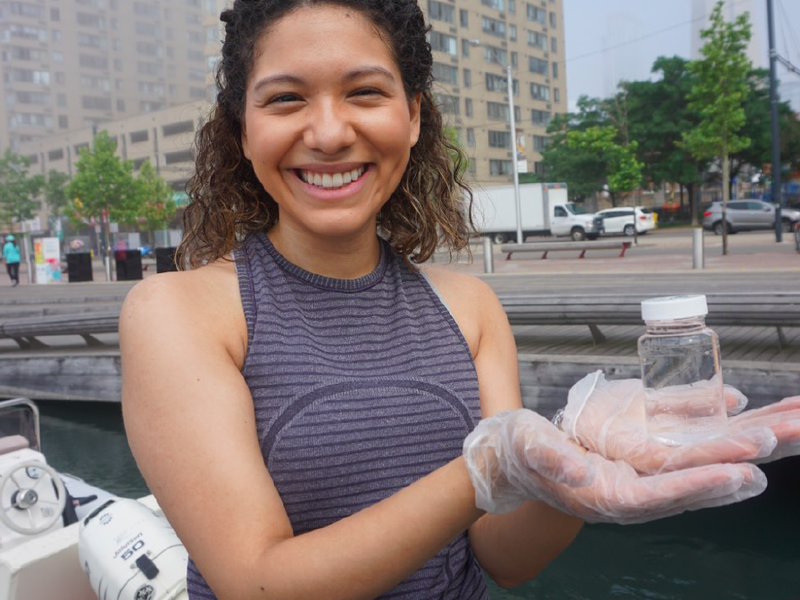 Lake Ontario Waterkeeper also discussed how the findings from this year’s volunteer sampling has been used to address a variety of concerns facing Toronto’s watershed. Lake Ontario Waterkeeper’s recent response to the Toronto Remedial Action Plan from TRCA and The City of Toronto include the results of this sampling. Lake Ontario Waterkeeper also used the event to rally support for their forthcoming pollution reporting campaign which aims to engage citizens to take an active role in documenting the quality of the streams, river lake and harbours that make up our watershed. Support for Harbour Monitoring Program and the Toronto Harbour Report has generously been provided by Evergreen and Muskoka Brewery, RBC, the Boris Family Foundation, and the Martin Family. Lake Ontario Waterkeeper, a grassroots effort to document threats to the lake and intervene in key decisions; $2-billion is being spent on restoration in the wake of LOW’s work.